"This collection avoids the trap of framing itself within an easy narrative of progress or adaptive evolution. Rather, it highlights a range of responses to the disruptive influence of experimentation and the ways in which the networks have attempted to return to 'business as usual' from 2010 onward." --Journal of American Culture "Media scholar Denise Mann has gathered engaging essays that discuss the ways that television programming has changed as a result of the Internet. Recommended." --Choice "Provides tremendously valuable insights by top scholars in television studies. The essays are grounded in strong, compelling research and collectively provide a rich snapshot of the tensions, anxieties, and especially failures of this particular moment in US television's development." 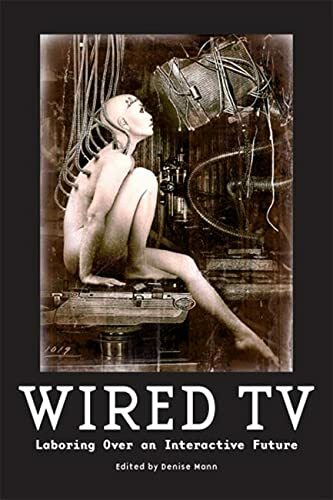 --Cinema Journal "With contributions from prominent scholars, Wired TV offers rigorous and exacting essays that address the dramatic shift occurring in a business that produces, sells, and resells mass entertainment." --Daniel Bernardi "San Francisco State University " "Wired TV offers rich, creative, and original thinking about television's digital era. It is essential reading for anyone following contemporary media industries." --Jennifer Holt "author of Empires of Entertainment "